A digital marketing strategy has become so much more than simply maintaining a blog. In the past, inbound strategies like content creation were relatively simple. You published content on a schedule, targeting relevant audiences via social media channels. You crafted unique blog posts, full of insightful commentary on industry trends relevant to your niche. But what were once novel marketing strategies, have quickly become the norm – every business has a blog, and every business has content marketing strategies to drive traffic to their respective web pages. So, how do you stand out in an increasingly crowded space? What can you add to the conversation that marks your brand out as unique? An eBook. A publication of your best insights and your most relevant thoughts; something that will entice readers, customers, and consumers to visit your website. But writing an eBook isn’t as simple as crafting a blog post. It requires a great deal of thought, consideration, and planning. Unless you’re happy to settle for the norm and simply put one there for the sake of it. Let’s start by considering how to use an eBook for content marketing, how it can boost your web presence, increase traffic to your website, and generally make your brand more prominent within your niche. Thanks to Google and its frequent algorithm tweaks and changes, ‘thin’ content is out. That means no more lightly researched blog posts. In their place there needs to be better thought out, long form articles, or ‘fat’ content. Long form content and eBooks, are part of a new trend. It’s important for businesses to stay relevant and to provide audiences with the type of content that they need. But it’s just as pressing for a business to stay ahead of trends, and of course, its competitors. We’re currently seeing a shift in content writing from articles of around 1,000 words, to longer content that comes in at 2,000 words+. eBooks are on the tail end of that approach, and their popularity will only increase as time goes on. The keyword there is deeply. Short form, and even long form articles don’t have the same resonance as a well crafted eBook. That’s mostly because an eBook is much longer, more considered, and better tailored to a specific audience. It’s also because an audience (usually) has to opt in to access the content. Building a personal brand – you can use this format to write about the unique industry knowledge that you have. Position you as a thought leader – if you write an eBook that stands out for its insights and excellent and relevant content then you’ll become known for your work, further establishing your brand within your niche. Provide expert advice to your audience – this one’s simple: use your eBook to show off your expertise, and gain trust from your audience. Building a relevant email list. Positioning a brand as an industry thought leader. Showing off a brand’s expertise. Every business aspires to achieve the goals listed above. Of course, creating an eBook isn’t going to magically transform your content marketing efforts (although it might), but it gives you the chance to reach new audiences, and provide them with relevant, actionable, and enticing content. As we discussed, lighter content is no longer in vogue, but it does still have its place. Blog posts are a great resource for piquing interest, and of course, directing social media users towards your website. Shorter content is an excellent tool for driving relevant traffic. But it’s not quite as useful when it comes to converting that traffic into active customers. That’s where eBooks come in. An example of a content marketing funnel from Brian Honigman. When you consider eBooks as a premium resource, you can see why they are so effective in content marketing. They educate and elucidate and function as a piece of long form evergreen content that can be used over and over again to market your brand. As the above image shows, eBooks and White Papers are closer to provoking an active response from readers than blog posts and infographics. As a marketing tool, they can provide a business with benefits that far outweigh the time and resources spent creating them. I’ve made my case, I’ve outlined why I think eBooks are important to a content marketing strategy, but you’ve still got to write the thing. How do you make sure that your efforts have an effective ROI? Well, the first thing to consider is the fact that writing an eBook takes time and focus. You can’t just churn it out; you have to think long and hard about your strategy, what you hope to achieve, and how you’ll get there. As with all creative practices, start with a solid plan (of course, this might change slightly as you progress). I view this in terms of ‘theme’. My approach is to define exactly what my writing is about with one sentence (it’s harder than it sounds), and then relate everything I write back to that initial idea. This ensures that everything makes sense, that the overall piece has coherency, and that readers are pulled through the content, from the beginning to the end. It’s not enough to just write the eBook off the top of your head. Instead you have to fill it with facts, figures, and well reasoned insights, backed up with hard evidence. You have to add value to your audience in such a way that they don’t doubt your ability. You have to show that you’re more knowledgeable than they are on the subject. This lets them become more reasoned and nuanced in their own practice – all thanks to your work. This is a great opportunity to show what your business can do. But don’t think of your eBook as sales copy. It’s not. It’s an opportunity to connect with new and existing audiences and converse around content that you’ve created. Don’t try and sell your business overtly. Instead do it subtly, through the value that your eBook provides. How do I Pick a Good Subject for My eBook? Picking the right subject for you eBook is important. It has to be something that you know well, and something that you can add valuable insights on. 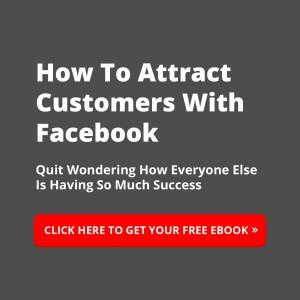 Ask your audience – simply identify any knowledge gaps in your readership through an online poll, a question on a Facebook page or a LinkedIn group, and write an eBook that fills them. Repurpose blog content – update, rewrite, and reuse your most successful content. Expand customer testimonials into a collection of case studies. Whatever your approach is, make sure that the content you craft targets your audience. Be aware of industry trends, and write something that capitalises on whatever conversations people in your niche are already having. Once you’ve determined your subject matter, write out a detailed outline, with chapter headings, and a clear through line. Relate everything to your title, and stay focussed – it’s easy to go off on a tangent. Not everyone is a skilled writer, and for many businesses it’s easier to hand off the writing to a professional. Of course, if you hire an excellent writer, those concerns can be alleviated. A good approach would be to record your thoughts, transcribe them, and then pass them onto your writer. They can then capture your personality, alongside your unique thoughts and voice, much more accurately. However, if you write it yourself, then be sure to edit the work closely. Strive for simplicity, and work on articulating your thoughts with clarity. I recently read about Cristina Gutierrez, the lawyer made famous by the Serial podcast. She was the first person to use DNA evidence in a courtroom, and in order to explain it to a jury, she went to a primary school. There, she explained DNA evidence to a group of children, and every time one of them asked a question, she went right back to the start. Her objective was to simplify the explanation so that even a child could understand it. This is an approach that we should all take when writing branded content. It’s important to be inclusive, and to ensure that everyone is working from the same page. Seek out that type of simplicity, and write with that sort of clarity. Remember, if it benefits your audience, it benefits your business. Using an eBook for content marketing is an effective digital strategy. It isn’t (quite) the mammoth task it initially seems. If it’s on your to-do list, then make it happen. Get started on it immediately, and write something that resonates, sparkles, and educates. Your audience will love you for it. Make 2016 the year you write, and publish your first eBook. It’s a worthy resolution for the new year. If you’re struggling with this task, seek out a professional writer. At Storkey Media we’re well practiced in crafting effective long form copy. Our writers have written numerous eBooks, White Papers, and long form blog posts. Simply get in touch and book a free consultation call today.